“i. Whether on the facts and circumstances of the case, ought not the Appellate Tribunal have held that the appellant is entitled to take recourse to the provisions under the DTAA between India and USA, which are more beneficial than the provisions of the Income Tax Act, as stipulated under Section 90(2) of the said Act? ii. Whether on the facts and circumstances of the case, the Appellate Tribunal ought to have held that the management fees paid by the appellant to UST Global, cannot be taxed in India, in the absence of a permanent establishment for UST Global in India? iii. Ought not the Appellate Tribunal have held that since the payments termed as “management fees” effected by the appellant to UST Global is not chargeable to tax in India, there is no requirement for the application of Section 195, for withholding tax in respect of those payments? “Fee for included services” under the India-USA DTAA, prescribed under Article 12 of the said DTAA? v. Ought not the Appellate Tribunal have held that there is no services “made available” by UST Global to the appellant, going by the definition of “make available” as per the India-USA DTAA? vi. Is not the finding of fact by the Appellate Tribunal erroneous and perverse, in the light of the factual and legal aspects involved? 2. The appellant is before us on concurrent findings of the lower authorities that the assessee is liable to deduct tax at source for the payments made by the appellant to a company situated in the United States of America (USA) for providing specifically management, financial, legal, public relations, treasury and risk management service. The Assessing Officer [AO] found the same to be income deemed to accrue or arise in India with respect to a non-resident as provided for under Sections 5(2) and 9(1)(vii) of the Income Tax Act, 1961 [for brevity “IT Act”]. The assessee, before the AO, claimed that under the Double Taxation Avoidance Agreement [for brevity “DTAA”] entered into between the Government of the USA and Government of India, the non-resident was not liable to tax and consequently the appellant was not liable to deduct tax at source under Section 195(1) of the IT Act. The AO did not refer to the DTAA; but, however, relied on Wallace Pharmaceutitals P. Ltd. 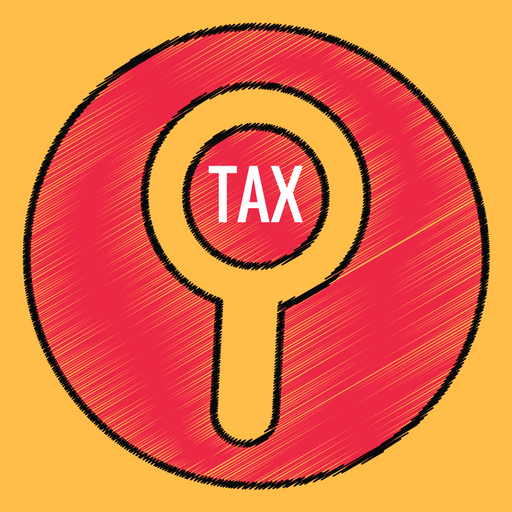 In re [(2005) 148 Taxman 347 (AAR-New Delhi), a ruling of the Authority for Advance Rulings (Income-tax). The AO hence disallowed the amounts claimed as expenditure under Section 40 (a)(ia) of the IT Act. Identical facts arise in the appeals; but, however, in I.T.A.38 of 2014 there was a dis-allowance made of the expenditure, while in the other appeals the assessee was proceeded against under Section 201 of the IT Act for non-deduction of tax at source. The first appellate authority, however, dealt with the DTAA as also referred to the judgments of the Hon’ble Supreme Court and a judgment of the Andhra Pradesh High Court to find that the services offered by the US Company to the Indian Company come under “fee for included services” and by virtue of Article 12 of DTAA the said services would be taxable within India. The specific finding was that the technical services have been found by the Hon’ble Supreme Court to be covered under the definition in the IT Act at Section 9(1)(vii). Explanation 2 of the said provision takes within the ambit of “fees for technical services” managerial, technical or consultancy services, including the provision of services of technical or other personnel. Hence any service provided whether it be purely technical or not would be covered especially in the expanding horizons of commerce and industry in the present world. The first appellate authority having rejected the contentions, the appellant was before the Tribunal. Before the Tribunal in addition to the DTAA a Memorandum of Understanding (‘MOU’ for short) entered into by the two Governments concerning ‘fees for included services’ in Article 12 was specifically referred. However, relying on the Andhra Pradesh decision, it was held that the same is applicable in the case of the assessee in so far as the US Company facilitated the Indian Company to take decisions in the managerial, financial and risk management aspects by providing their knowledge, expertise etc. to the Indian Company. It was using this knowledge transferred by them that the decisions were taken by the Indian Company and hence there is a transfer of specific technology for the purpose of decision making. Sri.P.Gopinath Menon, learned Counsel appearing for the appellant-assessee, submits that though the technical and consultancy services as defined by the Income Tax Act includes any services even of the nature of a management or financial service offered, the DTAA read with the MOU would indicate that the specific services as per the agreement between the Indian and US Company were excluded. Reference is made to Section 90 to contend that the DTAA entered into with the foreign company is a statutory document recognized under the Income Tax Act and by sub section (2) the provisions of the Income Tax Act would apply only to the extend that they are more beneficial to the assessee. In the context of the specific services availed of by the Indian Company and the exemption provided under the DTAA such provisions have an overriding effect being more beneficial to the assessee. It cannot at all be said that the taxation provisions of the Act are in favour or more beneficial to the assessee as against the DTAA which exempts any taxation of the income generated from such services. The Tribunal having looked into the DTAA as also the MOU chose to rely on the Karnataka decision which did not consider the DTAA. The learned counsel would assert that specific services availed of by the Indian Company does not come under the “fee for Included services” especially when the same has been taken away by the MOU entered into between the two Governments under the DTAA. We have heard learned Senior Counsel for Government of India (Taxes) Sri.P.K.R.Menon and learned Standing Counsel for Government of India (Taxes) Sri.Christopher Abraham; appearing for the Revenue. It is the submission of the Revenue that double taxation agreement specifically gives relief to taxation by both the countries and the best evidence available to avail exemption is the evidence on the income generated from the aforesaid services having been taxed in the United States; which has not been established by the assessee. It is also argued that subsection (3) of Section 90 makes it mandatory that the authorities under the IT Act follow the definition of ‘technical and consultancy services’ as has been defined in the IT Act insofar as the same having not been defined under the agreement for avoidance of double taxation or a notification issued by the Central Government. Going by the definition of ‘technical and consultancy services’ under Section 9(1)(vii) as also Explanation 2, the services availed of by the Company, they admittedly are managerial, technical or consultancy services, as has been brought out from the agreement entered into between the Indian Company and the US Company. The learned Counsel urge that the order of the Tribunal be sustained. There can also be no dispute as per the extracted Explanation that the services offered by the US Company to the Indian Company comes under the said definition. The services offered, as is seen from the terms of the agreement which are specifically termed by the first appellate authority as ‘technical and consultancy services’, are (i) management decision making, (ii) financial decision making, (iii) legal matters and public relation activities, (iv) treasury services and (v) risk management services. Read with the Explanation, this definitely would come within the ambit of ‘technical and consultancy services’ as defined under the Act. The first appellate authority has also relied on Continental Construction Ltd. v. CIT [(1992) 1954 ITR 81], CBDT v. Oberoi Hotels India (P) Ltd. [(1998) 97 Taxman 453] and Dean, Goa Medical College v. Dr.Sudhir Kumar Solanki [(2001) 7 SCC 645], wherein the ambit of the definition was examined by the Hon’ble Supreme Court. 8. In Continental Construction Ltd., it was observed that “the expression ‘technical services’ has a very broad connotation and it has been used elsewhere in the Statute also so widely as to comprehend professional services: vide section 9(1)(vii)”. The meaning of the word ‘technical’ given in the New Shorter Oxford dictionary was also extracted to find it to be knowledge or expertise in a particular art, science, or other subject. Oberoi Hotels India (P) Ltd. reiterated the view that the term ‘technical services’ in the IT Act included professional services. In Dean, Goa Medical College, the question was whether the medical colleges would fall under the expression “technical institutions”, which was answered in the affirmative; but with a rider that every professional service would not amount to a technical service. Going by the precedents as also the words employed in the Explanation, we respectfully bow to the precedents and find the services availed of by the Indian Company to come within the definition available in Explanation 2 under section 9(1) (vii) of the IT Act. However, the moot question would be whether the definition in the IT Act would be relevant in the context of the definition of ‘included services’ in the DTAA. 9. The issue then arises as to whether the income generated from such services could be exempted under the DTAA entered into between the Governments of USA and India. We were provided with a copy of the DTAA notified as Notification No.G.S.R.990(E) dated 20.12.1990. Article 7 deals with ‘business profits’, which obviously is the income generated by virtue of the services offered by the US Companies. The business profits of an enterprise of a Contracting State shall be taxable only in that State unless the enterprise carries on business in the other Contracting State through a permanent establishment situated therein. In the present case, it is an admitted fact that the US Company does not have a permanent establishment within India. In such circumstance, the business profits accruing to the US Company from within the territories of India would be taxable only in USA. Article 12 makes a deviation insofar as ‘royalties and fees for included services’. We are not concerned with ‘royalties’ and only with ‘fees for included services’. 10. As per Clause 1 of Article 12, fees for included service arising in a Contracting State and paid to a resident of the other Contracting State may be taxed in that other State, again indicating that the taxation has to be in accordance with the American laws. Clause 2, however, provides that fees for included services may also be taxed in the Contracting State in which they arise and according to the laws of that State, subject only to the condition that if recipient of the charge (fees) is a resident of the other Contracting State, the tax so charged shall be a particular percentage for five years and then a different percentage for the following subsequent years. Hence, when there is a fees for included services, generated within India for services rendered by a Company situated in the US, not having a permanent establishment in India, the taxation is permitted by both States. The tax levied under the US laws for the business profits so received by the US Company will not at all be affected. However, with respect to the taxation within India, it is levied at a reduced rate. Admittedly for a non-resident recipient of income, the tax liability is at 30%. As per Clause 2 of Article 12, in the case of a Company like the appellant, which is neither a Government or a Public Sector Company, the tax payable in the first five years for which the Convention has effect, will be 20% of the gross amount of the fees and during the subsequent years, 15% of the gross amount of fees for included services. It has to be emphasized that this applies only to the ‘fees for included services’, which does not have a definition under the IT Act. (b) make available technical knowledge, experience, skill, know-how, or processes, or consist of the development and transfer of a technical plan or technical design”. 12. The specific services availed of by the assessee-appellant from the US Company is covered under Clause 4 of Article 12 of DTAA is the finding of the lower authorities. In the context of a definition for ‘fees for included services’ not being available under the IT Act, we have to necessarily look at the definition as available under the DTAA. The ‘fees for included services’ as defined under the DTAA would take in payment of any kind in consideration for the rendering of any technical or consultancy services, which services are quite distinctly defined under sub-clauses (a) & (b) of Clause 4 of Article 12 of the DTAA. This is different from the ‘technical and consultancy services’ as defined under Section 9(1) (vii) of the IT Act. At the risk of reiteration it is to be observed that the services which come under the ‘included services’, meaning a technical and consultancy service as understood by the DTAA, have further been elaborated in sub-clauses (a) and (b) of Clause 4 under Article 12. We are concerned with sub-clause (b) of Article 12(4), which speaks of technical knowledge, experience, skill, know-how, or processes, or consist of development and transfer of a technical plan or technical design. The same has to be read along with the MOU which has been entered into on May 15, 1989 and is a part of the notified DTAA. 13. In the MOU, paragraph 4(a) (herein above termed clause) of DTAA was clarified and agreed to be understood in order for a service fee to be considered “ancillary and subsidiary” to the application or enjoyment of the right, property, or information; only with respect to a service related directly to such application or enjoyment. The predominant nature of the arrangement should be the application or enjoyment of the right, property or information described in paragraph 3. It was also agreed that the question as to whether such services is related to the application or enjoyment would be determined by reference to the facts and circumstances of each case. Paragraph 4(b) was agreed to be narrower than the category described in paragraph 4(a), since it excludes any service that does not make technology available to the person acquiring this service. Technology would be considered to be ‘made available’ only when the person acquiring the service is enabled to apply the technology. So there should clearly be a transfer of technology with the transferee applying it to its business. The mere fact that the provision of a service may require technical input by the service provider does not per se mean that the technical knowledge, skills, etc. are made available to the person availing such services. “1. engineering services (including the sub-categories of bio-engineering and aeronautical, agricultural, ceramics, chemical, civil, electrical, mechanical, metallurgical, and industrial engineering); architectural services; and computer software development. Under paragraph 4(b), technical and consultancy services could make technology available in a variety of settings, activities and industries. Such services may, for example, relate to any of the following areas: bio-technical services; food processing; environmental and ecological services; communication through satellite or otherwise; energy conservation; exploration or exploitation of mineral oil or gas; geological surveys; scientific services; and technical training”. The MOU and the narrow definition given to ‘included services’ takes the services availed by the appellant herein, out of the ‘included services’ as per the DTAA. We would also refer to certain examples provided in the MOU to further substantiate the view taken by us. The facts in one of the examples refer to an Indian vegetable oil manufacturing company desiring to produce cholesterol-free oil with the know-how for refining cholesterol out of the oil as available with an American Company. The Indian Company thus contracts with the US Company for the purpose of transfer of know-how by which the cholesterol in the oil would be eliminated and to train the Indian Company in applying the new formula. This was held to be an ‘included service’ and remuneration received by the American Company coming within the ambit of “fees for included services”, since technical know-how is made available to the Indian Company, based on which the Indian Company carries out the manufacturing activity. However, when a vegetable oil manufacturing firm having mastered the process of manufacturing cholesterol-free oil, hired an American marketing company to advise it on marketing strategies, the same would be taken out of the ‘included services’ and any remuneration received would have to be relieved of taxation under the IT Act. We have to look at the Andhra Pradesh and Karnataka decisions with the above understanding of the DTAA and MOU in our mind. GVK Industries Ltd. v. ITO [(2015) 371 ITR 453 (SC)] was a case in which the Indian Company, formed for generation and sale of electricity, entered into an agreement with a Company at Zurich, Switzerland for help in raising finance. On the basis of the non-resident Company’s advise regarding processing of loans, the Indian Company obtained finances, both from India and from a foreign institution. The question was whether the “success fee” paid to the non-resident Company on the finances being successfully obtained as per the advise of the non-resident Company was taxable in India. The Division Bench of the Andhra Pradesh High Court, looking at the various decisions of the Hon’ble Supreme Court interpreting the definition of ‘technical services’ as available in Section 9(1)(vii) of the IT Act, found such services availed by the Indian Company to fall within the ambit and scope of technical services as understood by the IT Act. The aforesaid decision has also been upheld by the Hon’ble Supreme Court in (2015) 371 ITR 453 (SC). We do not think that the said decision interpreting the definition under the IT Act would be applicable here, specifically because the DTAA between the Governments of USA and India was never a relevant factor in considering the aspect of exemption to tax claimed by the Indian Company therein. Here the DTAA having defined ‘included services”, which is technical and consultancy services; but specifically having defined it quite distinctly from the all inclusive definition in the IT Act, even by Section 90(3) the definition in the DTAA is to be adopted to decide taxation or its avoidance. The decision of the Karnataka High Court referred to by the Tribunal is reported in (2012) 208 Taxman 406 (Kar) [CIT v. De Beers India Minerals (P) Ltd]. Therein the Indian Company had sought for assistance of a Netherlands Company to conduct air borne survey for providing high quality, high resolution, geophysical data to identify probable kimberlite targets. The non-resident Company did not transfer any technological know-how to the Indian Company and merely carried out the survey by equipments brought by them into India and supplied the necessary details to the Indian Company. The Division Bench of the Karnataka High Court found that there was no transfer of technology and the foreign company merely carried out a survey, collected data and processed it to identify the probable mining sites. The mere transfer of such data, including maps and photographs, cannot be considered as a transfer of technology was the finding. We are conscious of the fact that the DTAA as relevant in the present case, is not applicable even in the case of De Beers India Minerals (P) Ltd., where the non-resident hailed from Netherlands. However, on facts we are of the opinion that when the definition clause in DTAA read along with the MOU specifically refers to transfer of technologies, the facts as available in the Karnataka decision are more similar to the present facts. Herein also there is no technology transfer; nor is there a plan or strategy relating to management, finance, legal, public relations or risk management transferred to the appellant. The services promised by the non-resident Company is only advise on such aspects as are specifically referred to in the agreement. The non-resident Company only assists the Indian Company in making the correct decisions on such aspects as is specifically referred to in the agreement, as and when such advise is required. There is no transfer of technology or know-how, even on managerial, financial, legal or risk management aspects; which would be available for the Indian Company to be applied without the hands-on advise offered by the US Company. The advise offered on such aspects would have to be on a factual basis with respect to the problems arising at various points of time and there cannot be found any transfer of technical or other know-how to the Indian Company. Particularly under the DTAA, we are of the opinion that none of these aspects on which the US Company has promised advise to the Indian Company would fall under the ‘included services’ and the ‘fees for included services’ would not be taxable in India as per the DTAA. As we noticed, the business profits of a US Company would be taxable in the US. However, a portion of such business profits relating to royalty and fees for included services have been carved out to enable taxation within India also, but at a reduced rate as per Article 12 of the DTAA itself. Even before the DTAA was notified by the Central Government, a MOU was entered into between the two Governments further clarifying as to the specific services qualifying for taxation within India. A further carving out was made out of the technical and consultancy services permitting taxation only insofar as the transfer of technical know-how, which, a reading of the MOU would indicate, is clearly scientific technology not including a managerial or financial strategy. On the above interpretation of the provisions of the DTAA, we have to find that the services availed of by the Indian Company, the appellant herein, from the US Company are not technical and consultancy services as defined under the DTAA, clarified by the MOU, which forms part of the notification issued by the Central Government on the double taxation avoidance between the Governments of United States and India. The remuneration received by the US Company for the services offered to the Indian Company being not a technical or consultancy service as defined under the DTAA, would also not be a fee for included services. The remuneration so obtained by the US Company definitely being an income accruing within India would not, hence, be taxable in India under the DTAA. We do not agree with the argument advanced by the learned Standing Counsel that the best evidence available for avoiding taxation within India is the tax paid within the United States of America. The non-payment of tax in the U.S cannot automatically enable taxation in India. As we noticed, with respect to fees for included services, the same being business profits, would be taxable in the US and also in India; however, in India at a reduced rate than as available under the IT Act. The said reduced rate also would not be applicable to the appellant herein with respect to the amounts paid as remuneration to the US Company for the specific services as is seen from the agreement, for it being not an included service as per the DTAA. The tax having been exempted fully, there is no obligation on the assessee/appellant to deduct it at source and the non-compliance of the provisions of Section 195(1) of the IT Act cannot be alleged against the appellant for reason of such obligation not existing in law. The questions of law raised as (i) and (ii) are answered against the Revenue and in favour of the assessee. We have already held that the services offered by the US Company would not come under the definition of ‘included services’ as available under the DTAA and as a consequence, the remuneration received by the US Company would not be ‘fees for included services’. We have to find that the interpretation of the provisions of the DTAA between the Governments of India and USA have not been correctly carried out by the Tribunal. We, hence, set aside the orders of the lower authorities answering the questions of law (iii) and (iv) against the Revenue and in favour of the assessee. In view of the answers already given by us, we are of the opinion that questions of law raised at (v) and (vi) need not be answered. In I.T.A.No.38 of 2014, the orders are set aside and the AO is directed to consider the claim of expenditure afresh without looking at the application of Section 195(1), which is not applicable. There is no requirement, as found by us, to deduct tax at source. In all the other appeals, the proceedings under Section 201 of the IT Act are set aside. The Income Tax Appeals are allowed. Parties are left to suffer their respective costs. This entry was posted in Income Tax Case Laws, Section 195, Section 90 and tagged 407 ITR, DTAA with USA, In favour of Assessee, Kerala High Court.